Sarah Williams was born in Pembrokeshire and educated at Croesgoch Primary School and Ysgol Dewi Sant. After completing a Foundation course at Carmarthen College of Art and Technology, she went on to study a B.A (Hons) in Fine Art, at Aberystwyth University and graduated in 1995. Her work has been exhibited in numerous galleries across the UK and she has illustrated the work of many Welsh language poets. 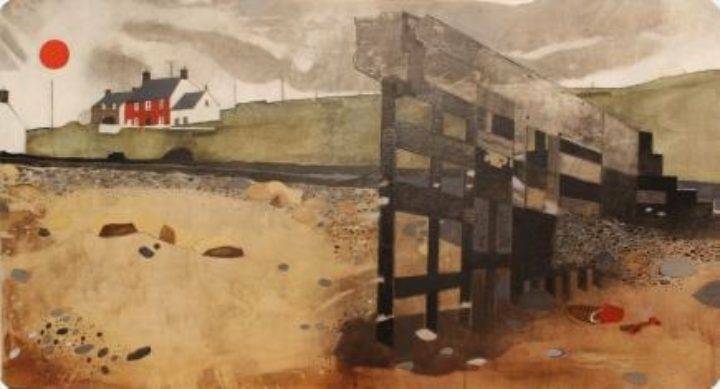 Her work explores the myths and history of the welsh landscape and the plight of local community in our changing world.